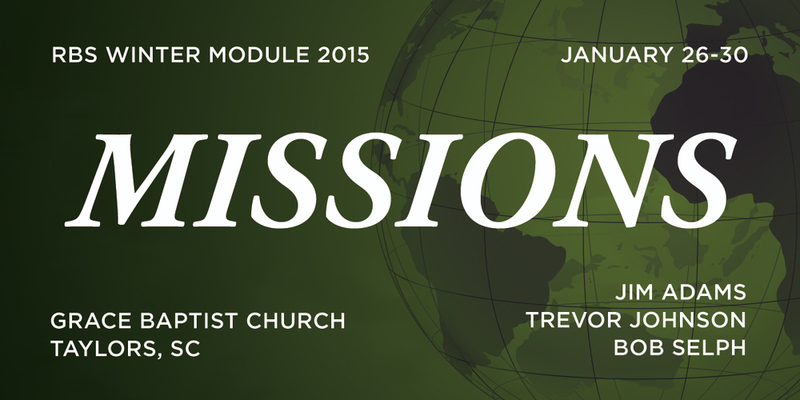 On the week of January 26 - 30, Grace Baptist Church of Taylors, South Carolina, will host a theological module (seminar) on the topic of foreign missions. The speakers will include Dr. James Adams, former missionary to Colombia, Latin America, and Trevor Johnson, current missionary to Papua, Indonesia. For more information, click here.